our new 84" version finally started to gain traction. 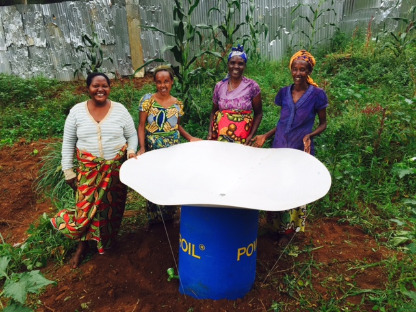 a few of our systems started operating in Africa. use of the product was widespread from Maine down to Florida back up Canada across North America to Texas and California. 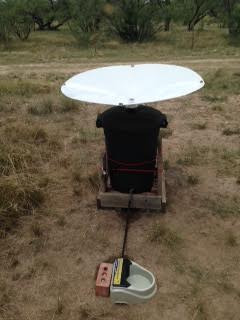 Customer in Texas uses a RainSaucer to provide much needed water to wildlife in his pasture. The system collects water and dispenses it automatically. 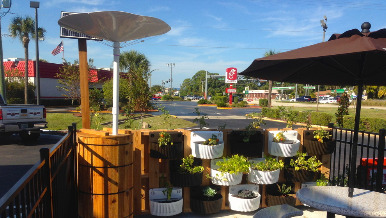 Customer in Florida writes "I love the Rain Saucer. It's a great product for my garden! My terrace is on the 5th floor and faces the ocean. I get get really strong winds when it rains, so I made an adjustment by tilting the front of the saucer so it will not blow over. Works great! See my attached photo. I am buying a back up! " 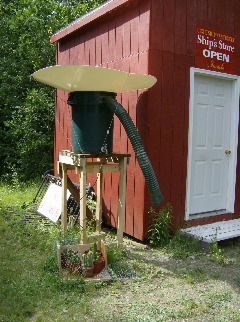 Customer in Maine using our system to water cacti automatically with drip lines. He calls the RainSaucer "one of those incredibly effective devices that is so simple it makes me wonder why someone didn't think of it a thousand years ago!" 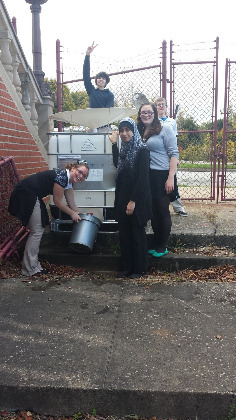 Students in PA got an IBC Tote from the local water utility and installed a 48" RainSaucer to demonstrate water sustainability. Finally made it to Africa, to Rwanda, thanks to NGO Manos de Madres These women run a market garden cooperative that has had difficulties purchasing water. The RainSaucers are expected to decrease that dependency. 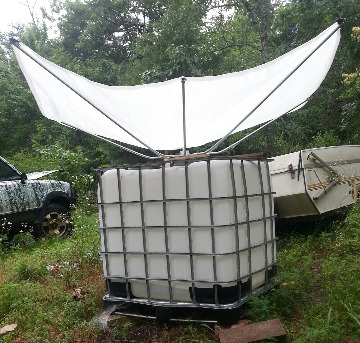 Customer in Arkansas first to put an 84" RainSaucer on a 270 gallon IBC Tote. This setup is uphill from the home. She plans on feeding it to a small water tower near the garden for easy irrigation. 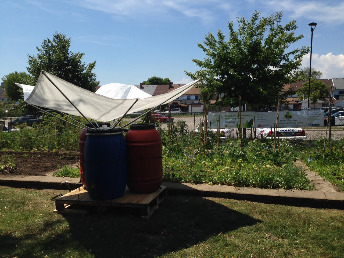 84" installation at Community Garden in Toronto. The main barrel overflows to the other two making 150 gallons in each cluster. There are 5 such clusters at their Garden. 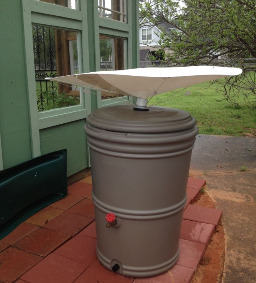 This customer in Alabama installed a 48" RainSaucer into an EarthMinded Rainstation. She writes "I plan to use the water for my plants and if necessary during a crisis we can drink the water. I will also use the water for my animals drinking water so they can have chlorine free water...I didn't want to collect water from a rain gutter system off the roof. That water is not safe to drink so I don't want my vegetables using that water either. I don't have gutters so I didn't want the added expense or trouble of installing and cleaning them. 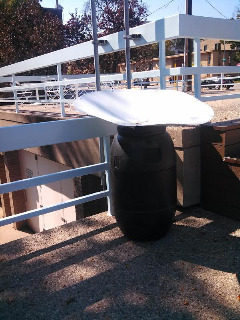 I also like that I can put the rain barrel close to the location I will be using it. One is by the greenhouse. The other will be out by my garden. I hope to save money by collecting rain water. Thank you for the rainsaucer what a clever, common sense invention." 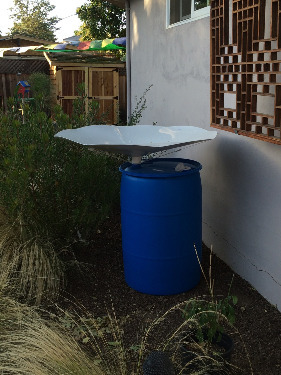 This Silicon Valley engineer was looking for a fast, DIY way to collect rainwater in a clean way. He told us he chose the BPA-free RainSaucer because of its simplicity and food safe surface. 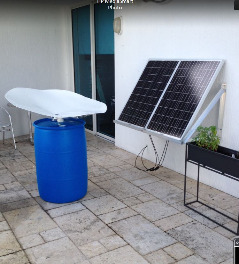 The harvested rainwater will be used for growing fruits and vegetables in the garden.